Join us at the Darien Library on Wednesday, October 24th, at 7 p.m. for a film screening of Wasted!. 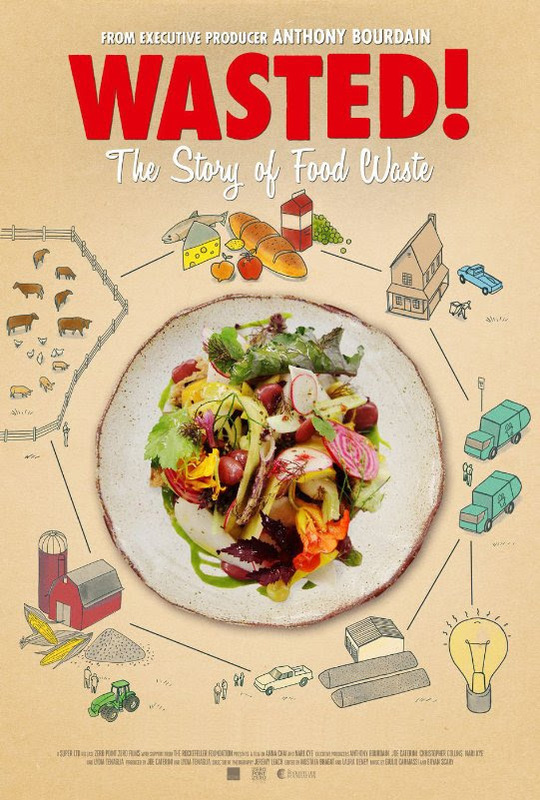 The final installment of our October Film Series offers Wasted!, the Story of Food Waste, a feature-length documentary that will change how people buy, cook and eat food. Through the eyes of chef-heroes like Bourdain, Dan Barber, Mario Batali, Massimo Bottura, and Danny Bowien, audiences will see how the world's most influential chefs make the most of every kind of food, transforming what most people consider scraps and rejects into incredible dishes that feed more people and create a more sustainable food system. The film also features several food waste reduction stories all over the world including waste-fed pigs in Japan, a disposal program that has reduced household food waste by 30% in South Korea, and a garden education curriculum New Orleans. WASTED! The Story of Food Waste showcases forward-thinking leaders who show how each of us can make small changes - all of them delicious - to solve one of the greatest problems of the 21st Century. This last installment of the October Film Series is co-sponsored by Darien Library, Planet New Canaan, The Darien Environmental Group and Darien Land Trust.